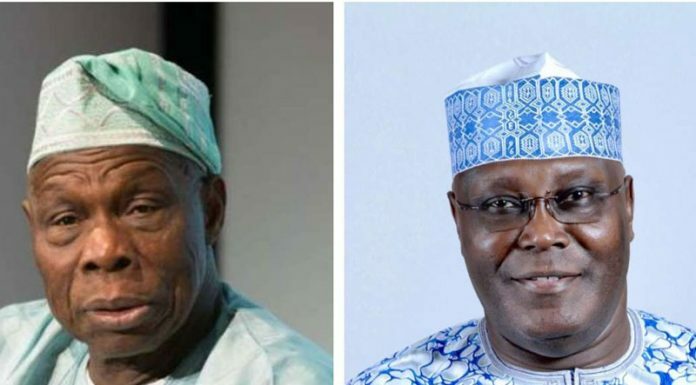 Former President Okusegun Obasanjo and his former deputy, Alhaji Atiku Abubakar, who emerged the presidential candidate of opposition Peoples Democratic Party (PDP), are billed to meet on Thursday. Though details of the planned meeting of the duo are unknown, it may not be unconnected with Atiku’s presidential bid as a candidate of the main opposition party. Obasanjo has been very critical of Atiku’s presidential aspiration, and has consistently described him as corrupt and unfit to lead Nigeria. But the former president has been under pressure from southern leaders who have urged him to support his former VP’s candidacy.